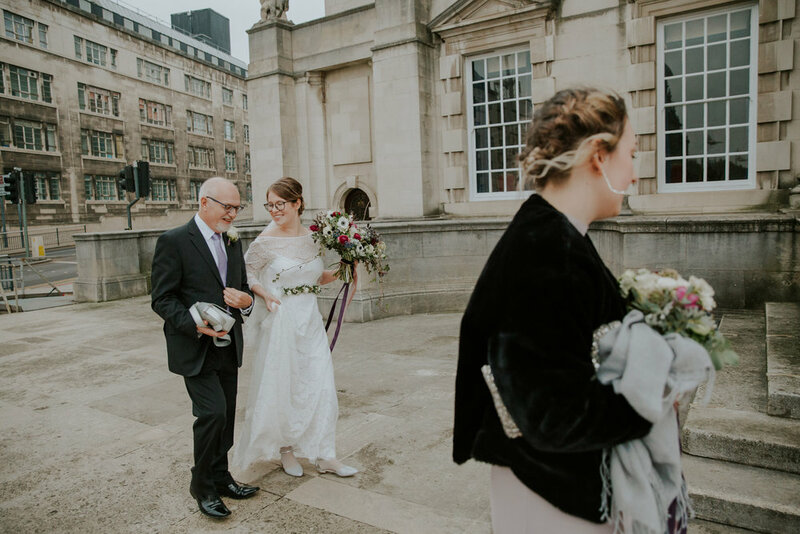 Laura loved the flared lace skirt of Dahlia, but preferred the top of another lace dress which was worn over a slip, so we combined the two to make a bespoke Dahlia just for her. 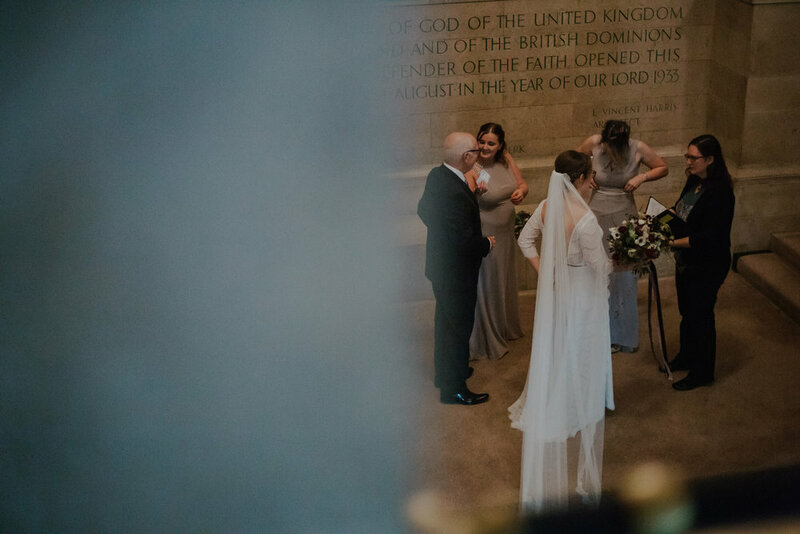 Laura’s Dahlia also had a boat-neck front, a V back and half-sleeves, and was lined in an ivory faux-silk. 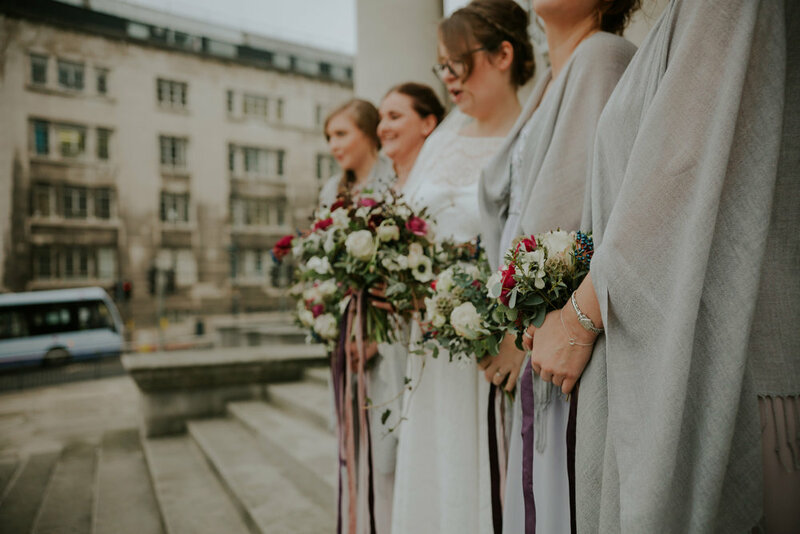 Laura commissioned a real flower belt from florist Swallows & Damsons, and finished everything off with a lace trimmed veil. 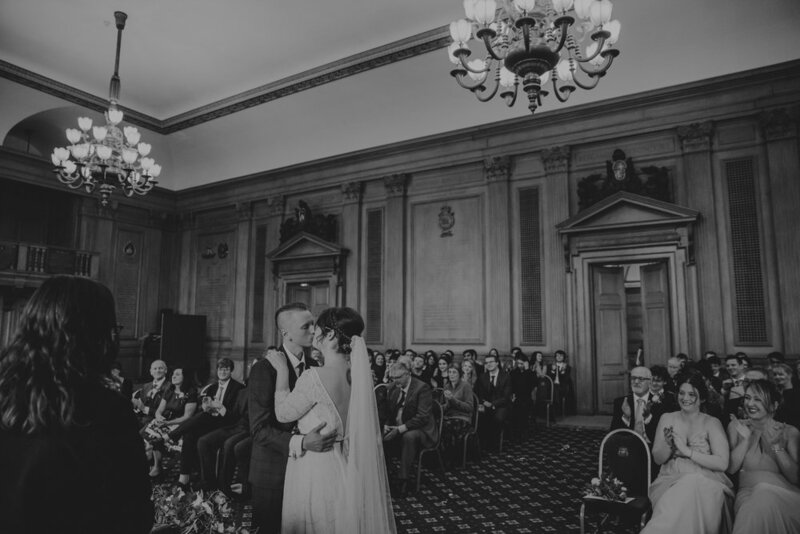 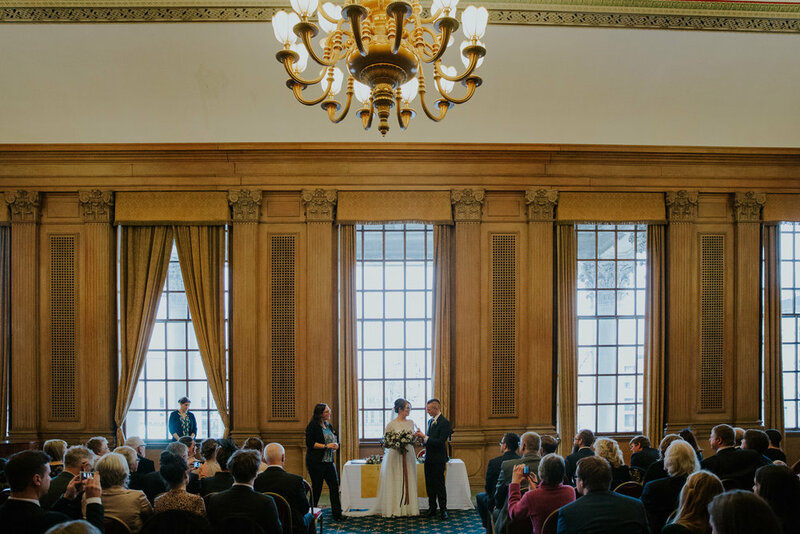 Laura and Dan were married in style at Leeds’ Town Hall, then had a whistle-stop tour of the city for their portraits, stopping where they’d had their first date and where Dan had proposed. 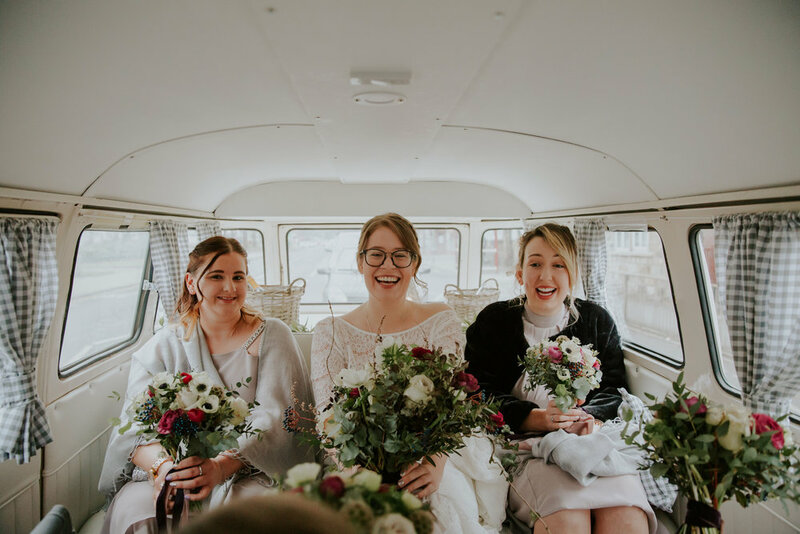 They then headed to the incredible Left Bank Centre – a converted church full of character, which they’d decorated beautifully with fairy lights and ivy. 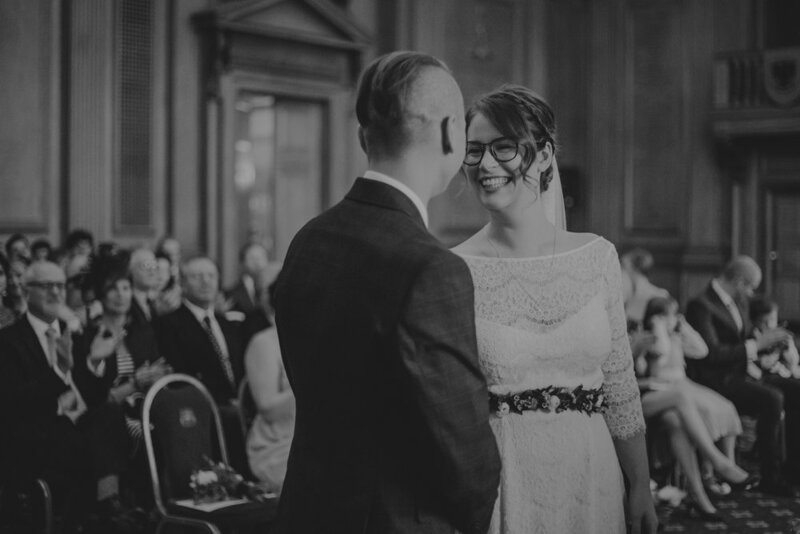 Their whole day was vegan, and they had the best music I’ve ever heard at a wedding – hence a full dancefloor all night long!